Maryland Staffordshire Bull Terrier Rescue View other Staffordshire Bull Terriers for adoption. 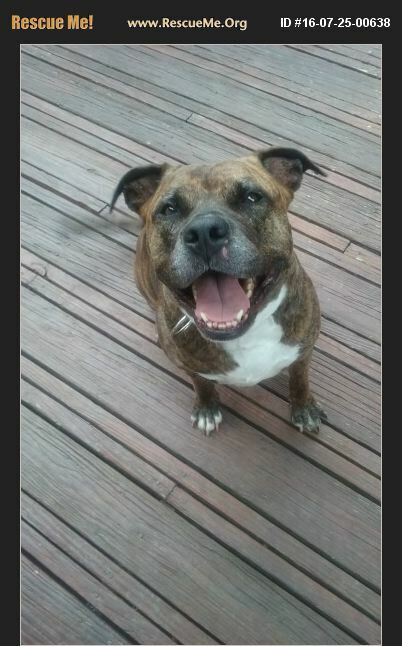 Six (6) year old female pitbull weighs 80lbs with a brindle color coat. Loveable and likes to cuddle and loves to play with toys and tug-of-war. Loves children.